You are here: Home / Guest Blogs / Want to Improve Your City? Start Taking Pictures! Want to Improve Your City? Start Taking Pictures! He makes a good case, and provides an engaging guidebook for going about it, with examples. I have long admired Wolfe’s evocative and skilled photography, and the book includes seventy of his photographs. 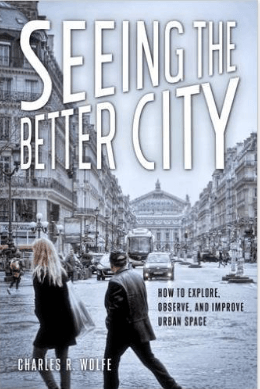 While waiting for my review copy of Seeing the Better City, two potential antecedents already on my bookshelves came to mind: The first was Frederick Franck’s short 1970s classic, The Zen of Seeing. It is about seeing – and drawing – as an act of meditation, and it is not particularly urban. It is also very intuitive and right-brain in its approach, and does not attempt the formidable intellectual underpinning found in Wolfe’s book (which includes 26 pages of endnotes), but I like it a lot. 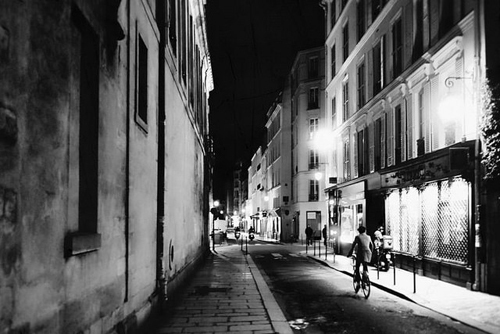 And it has something important in common with Seeing the Better City, which is its instruction that seeing – really seeing – asks us to pay attention to our surroundings, to be mindful. In particular, the book suggests that we compile visual “urban diaries” of the cities we inhabit and visit as we look for and document aspects of those cities, capturing pictures of things we like (and don’t like) and supplementing them with contextual annotation. We can then use those diaries as compendia of lessons learned, to argue for improvement. The book is peppered with examples from Wolfe’s own extensive travels and explorations, many of them from abroad. It suggests, for instance, that we can draw useful observations about such modern hot-button issues as urban density, building height, and use of alleys among the centuries-old World Heritage Sites in Edinburgh, Scotland. Closer to Wolfe’s home in Seattle, he notes that photographs of older residential buildings in his neighborhood can be used to show that neighborhood character can be preserved when multi-unit and single-family residences sit next door to each other, so long as the buildings are harmoniously scaled and similarly oriented to the street. And that kind of advocacy is the ultimate aim of Seeing the Better City. 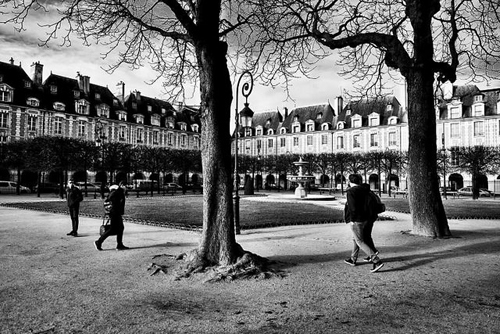 Wolfe is a land-use lawyer and urbanist, and he believes his causes can be assisted by photographs and other urban-diary tools. He stresses that the book is not about observation for observation’s sake but about applying positively the best of what we see. By so doing, Wolfe hopes we can get past what he characterizes as “NIMBY-driven, protectionist discussion” and move forward with growth and development of a type and in a way that people can embrace. To that end, the book’s penultimate chapter is devoted to putting visual urban diaries to use in “policies, plans, and politics.” Wolfe presents six examples where approaches similar to those he advocates have already been encouraged by municipal planners in the US, Canada, and Australia as part of their public engagement processes, to help inform their decisions. And he further suggests that, beyond planners, developers too can encourage residents to use an urban-diary approach to help developers tailor their plans and make them more likely to gain acceptance. Wolfe believes that, using urban diaries, citizens who might otherwise feel that they have no choice but to say “no” to neighborhood change can discover and indicate what they would say “yes” to. Now that is a laudable objective. To be effective, resident-initiated visions eventually would have to be refined by professionals, of course, and translated into a vocabulary that public officials can work with. But I think Wolfe’s ideas, as articulated in Seeing the Better City, could help get the process started. By so doing, they also just might help us get ever closer to Tony Hiss’s elusive goal of assuring that change “nurtures our growth as capable and responsible people” while protecting the environment and providing jobs and homes for all. Sounds good to me.